Hi readers. In this post we will get to know the Antivirus which provides most value for money. ( Note: That I m talking about the Antivirus which provides the value for money. It May NOT be the best Antivirus out there.). So lets come the world of antiviruses. Why we use antiviruses?.To protect your system from viruses, worms, spywares etc. Once a person told me. why we need to buy Antiviruses?. If the free one’s already available?.I mean are you kidding me?. Interesting fact is that one of my common friend took some data from that person in a pen drive.And He was using the Antivirus. (That I m Gonna Suggest you later), and guess what?.He FOUND. (not he exactly- The Antivirus).MORE THAN 2K Viruses (Yes over 2000.) in that pen drive.Do you Wanna use Free Antivirus? Its time to tell you about the antivirus. It is From Quick Heal i.e Guardian Antivirus. (personally using it from almost 4 years). Provides relatively high value for money. Since it costs only 250 rupees.I.e. around 4 $. for 1 Year 1 PC. Does not Slow Down the system. Provides various features such as. Net Security, Anti Malware, USB drive Protection, Boot time Scan,Hijack Restore etc. Provides various diagnostic tools Such As. System Explorer etc. What’s the problem with other antiviruses? I will tell you about those which I have used. Sometimes Deletes even the windows files. (Shocking right. Once I Lost my windows due to this). 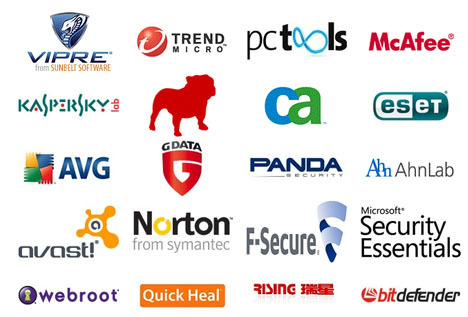 There are various antivirus software in the market. But the most value for money antivirus that I found is the Guardian Antivirus. Due to its great functionality and features at such a low price. you can use other antivirus software’s. If you have plenty of money to spend.